Hi guys! 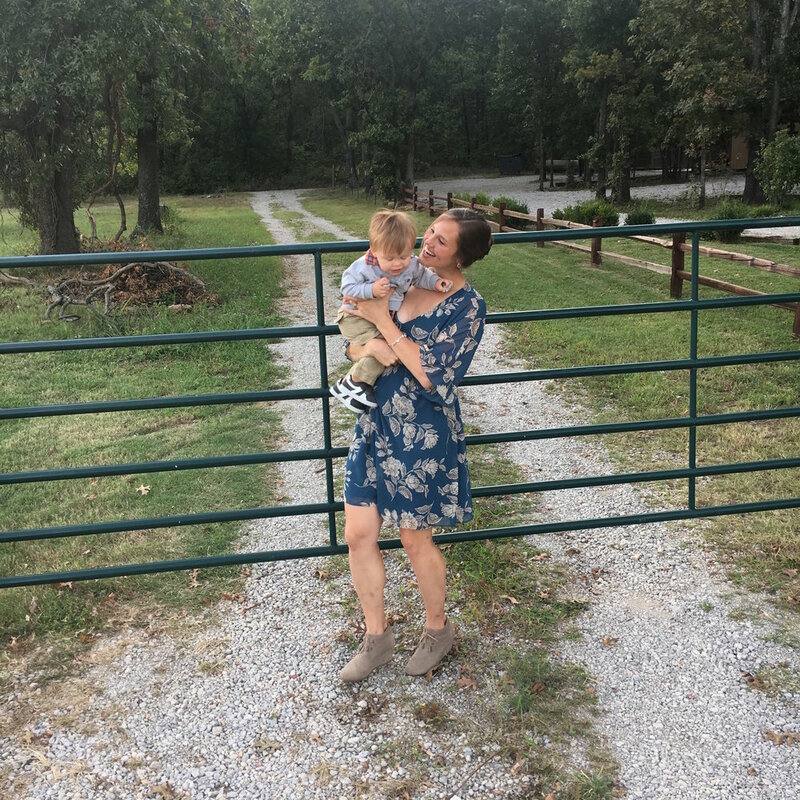 Today I have the privilege of sharing a post from my friend and the founder of livinglikegolden, Sarah Johannesen. 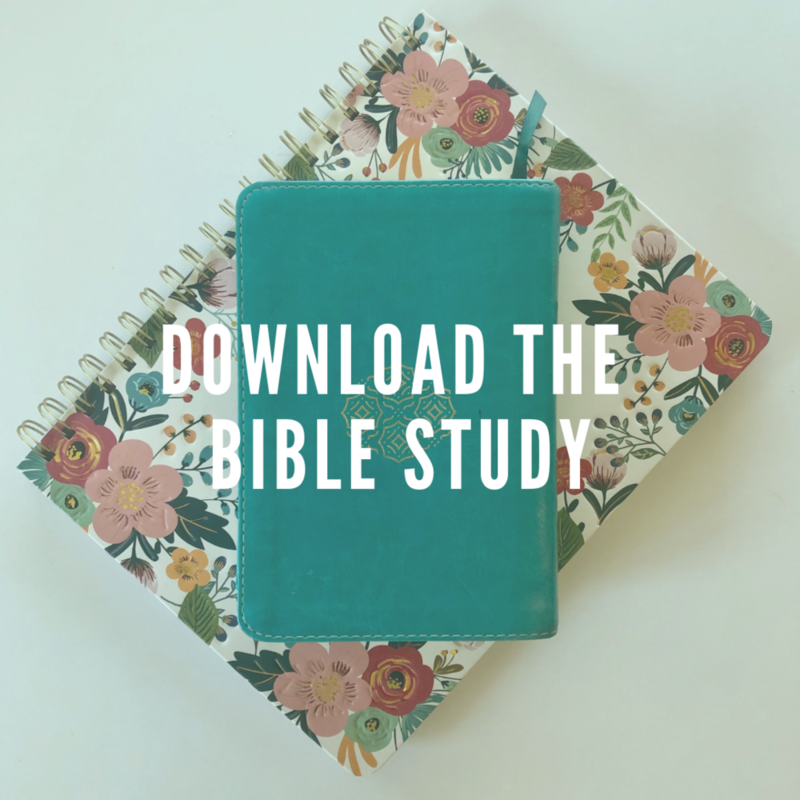 I asked Sarah to share her story with finding food and body freedom in Christ, and guys it’s so good— Enjoy! If you have absolutely no idea what I'm talking about, and this is your first time here, that's okay, welcome. 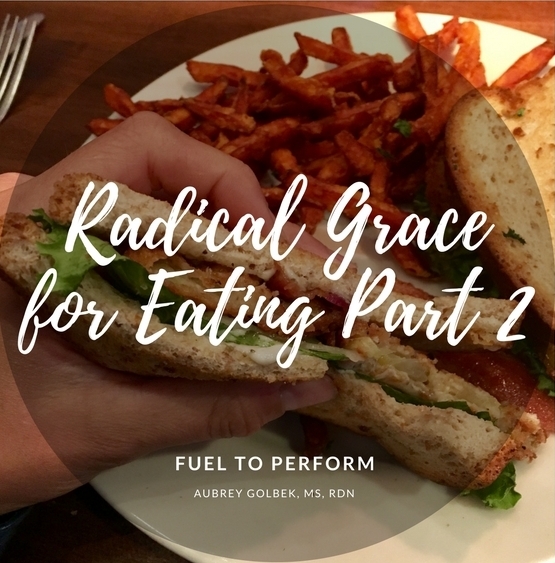 If you've got time, I would encourage you to go back and read those Instagram posts, or maybe just start with this blog post I wrote on radical grace for eating and make your way forward from there. OR, you could just forge on ahead and read this post blind, because hey, who am I to tell you what to do? In truth, only you can make that decision, just like ultimately only you get to decide what you eat, what you enjoy eating, what makes you feel like an all-star, and what foods satisfy you. See what I did there? That's called a transition ladies and gents. But in all seriousness, I am PASSIONATE about nutrition. But you know what sets me on fire even more than this? People being set free from fear and shame, especially when it comes to food. And you know how this happens, it happens when they decide that they are no longer going to focus on their own inadequacies or failures, but instead they set their eyes on what is lovely. That is, what is lovely today, right now, not just what will be lovely. It happens when people let go of food fears and doubts and face forward, ready to nourish their bodies and souls, one noble and true thought at a time. There is a reason that honoring your health with gentle nutrition is the last principle of intuitive eating and often one of the last topics I talk about with chronic dieters. Even gentle nutrition education fed to the wrong mindset can be perceived as another set of hard and fast rules to live or die by. This is not my intention. I want people to have the freedom to choose foods that taste good and make them feel their best. Guilt and weight loss don't deserve a say in what you eat. On the flip side, health AND enjoyment (together) definitely do. The key is whether decisions made with health in mind are based on fear (of weight gain, or toxins, or loneliness, or you name it) or whether those decisions are based on a true desire to feel and perform excellently. This is like walking a tight rope, I know. Once you're able to look at food neutrally -- Believing and knowing that eating X food one day does not make you a bad person and will not make you nutritionally deficient or chronically ill, and instead able to recognize that it is the over arching patterns of our lives that determine our course -- then things get fun. It's exciting to start experimenting with new foods. Likewise, it's fun to explore recipes that actually taste good and pack a nutritional punch, adding nutrient rich foods to your meals as opposed to taking away foods out of fear. I do not believe that there is one way of eating that works for every single person. Nutrition is so individual and the food we eat and enjoy is far more cultural than we realize. People from all different parts of the world eat completely different diets: high carb, high fat, vegetarian, lots of meat and cheese, you name it. And there are examples of healthy people among them all! 1. Food gives us energy and strength to accomplish our purposes here on earth. It allows us to take care of our kids, enjoy a run in the park or a walk with our friend. Food supplies us with the energy to fuel deep creative thoughts, thoughts that invent, thoughts that solve problems and thoughts that help people. Food supplies energy and energy is good. 2. All three macronutrients, carbohydrate, fat and protein, are excellent for providing energy and essential for optimal function. Each plays its own special roles in helping our body run efficiently. Further, eating a balance of all three, which seems to be our natural inclination, leaves us satisfied after a meal for several hours, allowing us to focus on other things besides food and hunger. 4. While we're at it, minimally processed whole foods in general are gonna up your nutrition ante. The closer the food is to how God created it -- the more nutrition it likely contains (obviously, I do not consider cooking as "processed" here - in fact cooking some foods actually makes the nutrients more available to our body than eating them raw). Also, to clarify I mean ALL foods God made, the ones that grow from the ground (whole grains, veggies & starches, legumes), those that grow in trees (fruits, nuts & seeds) and those whole foods provided by animals (meat, poultry, fish, dairy, eggs). All of these foods have lovely nutrition to offer (notice I'm not saying that you personally enjoy / feel good eating these foods or that you HAVE to eat them to be healthy, just that all of them have good qualities). 5. Food is a connector. There is nothing like the sacred art of sharing a meal with someone to build and deepen relationships. Families and friendships are often strengthened over 1000 different family meals or coffee shop dates. Beyond that, food is a way in which we can show love, by nourishing someone else. We can provide a person with energy, health, satisfaction and connection all with one simple meal. Please hear my heart, do not take any of what I've said and make it a measuring stick with which to see how well you are doing. Instead, I hope this encourages you to remember the lovely things about food and to nourish your body with these admirable truths in mind. "Whatever is true, whatever is noble, whatever is right, whatever is pure, whatever is lovely, whatever is admirable - if anything is excellent or praiseworthy, think about such truths" [Phillipians 4:8]. Peace. What a word -- and with so many connotations too. For some of you it might bring to mind a certain era in the 60's where people gave up shaving, hygiene and working -- or maybe it's an individual like Mother Theresa, Gandhi or Bob Marley that pops into your head. For me, the word peace conjures up memories of my childhood home. It's me sitting alone, criss cross applesauce at the very edge of our boat dock, looking out at the sunset across the water. I grew up on the lake you see, and this was the spot I went to when I wanted to calm a chattering mind, to rest; it was a place where I knew I would not be disturbed. A picture of Lake Freeman from lakefreemanlife.com --- the very lake I grew up on --- my idea of peaceful. The very definition of peace is a freedom from disturbance, a state of quiet and tranquility, wholeness. And peace is arguably the most valuable/ sought after possession. You see a calm and tranquil soul and a mind that is wholly undisturbed is beyond just emotional wellbeing. We now know, from a scientific standpoint, that this type of peace has a powerful effect for good on our physical health as well. Take food for example. Our bodies are amazing, we were designed to be able to digest just about any food and turn it into energy for our use. When we're in a restful (peaceful) state and our parasympathetic nervous system is in the driver seat (the system responsible for "resting and digesting"), digestion occurs how it was meant to happen: food is broken down to its smallest parts, nutrients are absorbed and utilized or stored for later, and waste is either filtered out or excreted without issue. Hormonal cascades signal to the brain that you are satisfied and you've had enough to eat. A date night treat at hurts donuts - cookies and cream and peanut butter all in one. Something i may not have been able to enjoy without guilt and/or overeating without this concept! On the other hand, when we are overly anxious or worried about something, our sympathetic nervous system is triggered, we switch to "flight or fight" mode. In this state, digestion is drastically slowed or even stopped. This can cause heartburn, nausea, and constipation. If we're chronically in this worried or anxious state we can develop some real digestive problems, not to mention dysregulation of our hunger and fullness cues. In light of what we know about the effects of eating in a state of anxiousness, worry or guilt, we can argue that it's much more damaging to our health to worry over the food we eat than it is to just eat so called "bad" foods from a place of peace and rest. This is why the third principle of intuitive eating, "making peace with food" is so important. It involves giving yourself unconditional permission to eat any food without judgment or guilt. Keeping our definition of peace in mind, following this concept means not allowing any food to cause you disquiet or to disturb your thoughts. In order to do this, you must recognize that food has NO power over you. You can have any food you want, when you want it with no guilt, because there is NOTHING wrong with eating. It then becomes clear that food will always be available and permissable for you, because of this, some "forbidden foods" may lose their luster. Think about it. When you tell a little child they can play with any toy in the room except one, what do they automatically do? They try their darndest to get that ONE toy. When you act as though it's no big deal for them to play with something, they usually set the item down after exploring it for a short time. Food is no different. Don't believe me? Try this out. Make a list of 5 foods you truly enjoy, but you haven't allowed yourself to eat (excluding food allergies of course). Now go buy them/make them and keep them in your house. Eat those foods one at a time in a relaxed setting (when you are hungry), savor that food, now ask yourself, "do I really like this food, or did it just hold a certain 'forbidden fruit' appeal?" If the answer is YES, I love this food, keep it in the house, remind yourself that you can enjoy it whenever you like, because food is good! It is for our nourishment and no food is off limits. If the answer is NO, I don't really like this food, well now you know, and you can let it go and move on to something you do enjoy. Hear me out here - I'm a dietitian, I am NOT saying that all foods are nutritionally equal -- we know that's not true. I am saying that all food should be emotionally equal. We should no longer let any food cause us disturbance whether out of extreme desire for it or guilt for eating it. This is easier said than done for many people. A lot of us are so wrapped up in food rules and fears. We live in a hyper food and health aware culture and are constantly told to fear food. Someone is either telling us to turn to food or away from it as the answer to all of our health and life concerns. All this focus though results in fear and anxiety, deepening our issues with food and distracting us from focusing on the one thing that matters. The good news is there is grace for everyone. Deciding to let go of food anxieties is hard, but it's possible and immensely beneficial. For those who believe in Him, Jesus helps us. He promises, "Peace I leave with you; my peace I give you. I do not give to you as the world gives. Do not let your hearts be troubled and do not be afraid." So take His peace, which is the assurance of salvation through Him. The assurance that you do not have to strive to earn His love or favor. You can rest in the quiet place, undisturbed by guilt shame and worry, because He has already removed those things from you. This kind of peace kind of makes fretting over the cake you had at lunch a little inconsequential...am I right? In part one of this post, I discussed the paradigm shift I've had regarding eating and health. 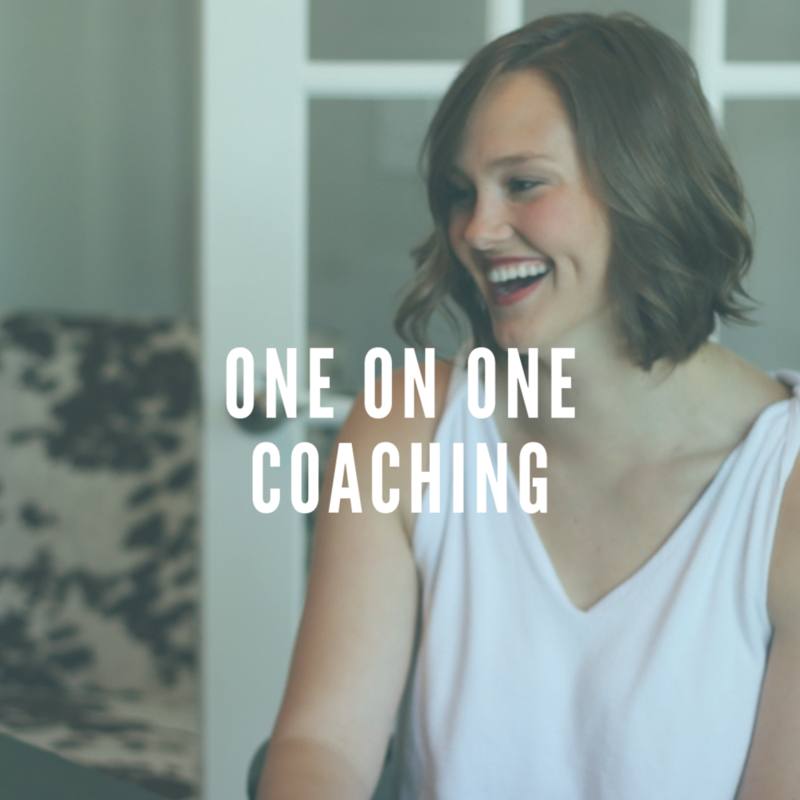 In part two here, I hope to give you an idea of how this shift translates into my eating and the way I counsel clients. If you didn't get a chance to read part one, make sure to check it out here. If you're caught up, then by all means - read on! First off, much of how I apply Radical Grace to my eating aligns with the concept of intuitive eating. If you aren't familiar with intuitive eating and you want to learn more I highly suggest reading the book Intuitive Eating by Evelyn Tribole and Elyse Resch. 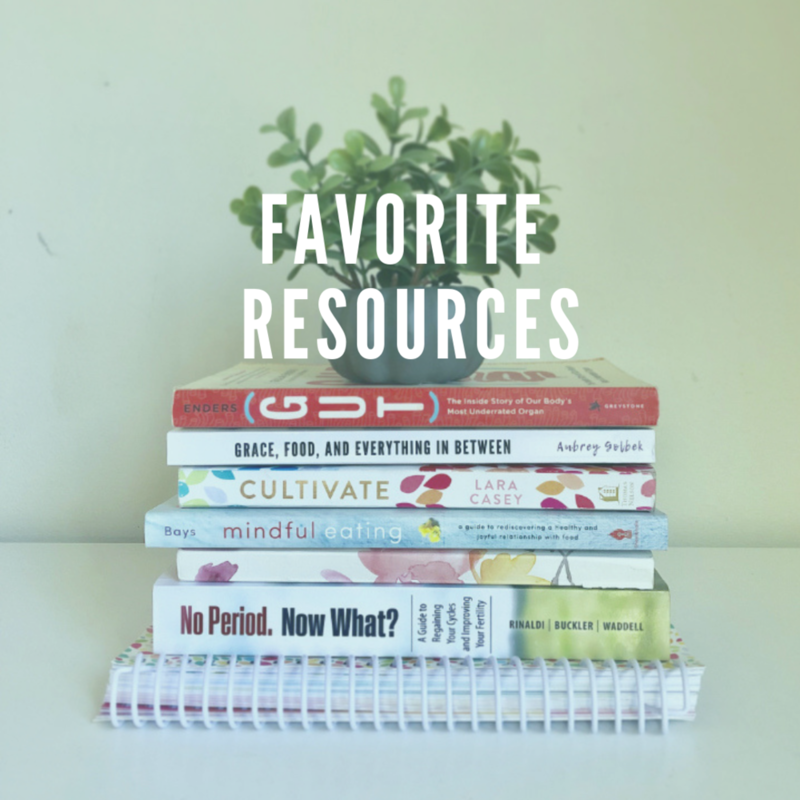 For those of you that don't have time to read a whole book right now (understood), I'll be posting on the 10 principles of intuitive eating over the next few weeks via Instagram, so make sure to follow along with me under the hashtag #gracebasedeating. Today though, I'll give you a synopsis of how I apply this to my eating in the context of Radical Grace. Intuitive eating is eating based off of your internal cues (or intuition) instead of external/environmental cues (calorie information, social pressures, stressful situations, or "good or bad" food labels). Put simply, this means eating what you really want when you are hungry without passing judgement on yourself. It means listening to your body's signals of hunger and satiety and honoring those signals. It means giving yourself unconditional permission to eat ANY food. Intuitive eating works at shutting down condemning thoughts around food and allows you to eat and enjoy, not count calories and fret. That kind of freedom will sound scary to some, but trust me it's worth it. When you give yourself permission to eat the foods you crave and refuse to label foods as good or bad, you free yourself from the mindset of restriction and "splurging" (or bingeing), instead you open yourself up to eating, enjoying, and being satisfied. With practice, intuitive eaters learn what foods feel good, what foods satisfy and what foods leave them energized. It's a process, one that involves examining the root of your eating behaviors and reframing the restrictive "diet mindset" to one of self-care and freedom. But at the end of the process, once food has taken it's rightful place, you'll likely find yourself with a whole lot of extra energy, peace and time to put back into the things that truly matter. I wake up in the morning, wait until I am hungry (which is usually pretty soon for me :D) and decide what I want to eat, then I make it, and I sit down and enjoy it. I try to have several foods on hand that I like, so I know I have a choice. If I have a busy day ahead, I might make something the night before, this way I have food ready for me in the morning. Next, I start my day, whatever that may entail. Throughout the day I make sure to pay attention to early hunger signs (stomach gurgling, etc. ), when they start showing up that's when I start thinking about what I might want to eat based on what's available, either at home or out working. I have a rough idea of when I will eat next, so that I can make sure I'll have food around me or available. Generally speaking, I eat within 1-2 hours of waking and every 3-4 ish hours afterwards. This loose schedule is helpful when you first begin eating intuitively. Especially for those who are used to ignoring their hunger cues and/or have a history of dieting, it can be hard to recognize early hunger signs in the beginning. By following a general schedule, and by at least "checking in" with yourself and your hunger every 3-4 hours, you'll fuel your body well and begin to recognize what early hunger and satiety feels like. That being said, there are no hard and fast rules here. With intuitive eating you simply observe your habits with curiosity and not judgement. I try not to let myself get too hungry, because if I do become too hungry I know I'll feel tired, most likely overeat, and still not feel satisfied. This is a huge difference from the "diet" mentality, which says that our bodies can't be trusted to tell us when we are hungry, and we should ignore them and only feed them salads on 6 hour intervals. This of course usually results in a huge dinner or even full blown bingeing in the evening. On the other hand eating when I'm hungry also means I try to respect when I am full and notice emotional hunger vs. physical hunger. As far as what I eat -- well, sometimes I eat the same thing several days in a row, and sometimes I want to try something new. Sometimes I have dessert every night and sometimes I don't want anything sweet. While honoring my hunger and cravings, I try to have foods that I know are satisfying to me and foods that I have noticed make me feel my best (something I've discovered over time and am still discovering). Focusing on the benefits of food for my body and my energy level is huge! During meal time and shortly after, I try to take my time eating (hard for this former swimmer) and enjoy every bite, noticing those signals of both fullness and satisfaction. I try to savor my food, try being the key word - its not always going to happen that way, but that's OKAY. What I do NOT do is feel guilty about overeating, forgetting to eat, or choosing certain foods. Instead, I try to notice how those situations made me feel physically and or emotionally and then move on. That is it. Notice and move on. My day may look completely different than someone else's day, and both are healthy. Nothing is set in stone. Intuitive eating is all about your individual needs. You are the expert at your own body, no one else. All this to say, becoming an intuitive eater is more of an art than a science and takes time and practice. This is what I promote with my clients. My focus is helping you become a healthier, happier, freer version of yourself by walking you through the intuitive eating process, one small step at a time. This is the way we have long-term success. Research shows that time and time again diets fail in the long run. The temporary high we get from restricting and losing weight often spirals into guilt and shame once we return to old habits and regain the weight. You see, because it requires a NEW way of thinking to transform your life -- a way of thinking that doesn't conform to the common views of our culture, the views that say smaller is better, "clean" foods mean you're good and "junk" foods mean you're weak, the views that say exercise should be forced and willpower is king. Galatians 5:1 says, "It is for freedom that Christ has set us free. Stand firm, then, and do not let yourselves be burdened again by a yoke of slavery." This is my goal as a nutrition counselor, to help people step out from the worldview of slavery or obsession with food, diet and body image and gain the freedom to discover what's really important in life. If you think you're ready to start working towards this kind of transformation, sign up for my newsletter by leaving your email under the "Stay Up To Date" header or click on over to the contact page under "About Aubrey" and shoot me a message. I have some exciting news coming, you might be interested in!